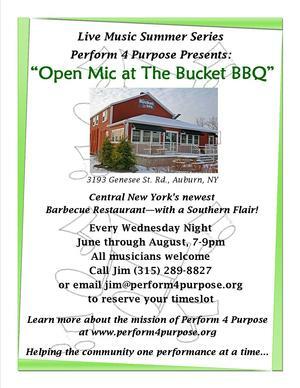 Perform 4 Purpose - Fundraising done through music. Who is Perform 4 Purpose? P4P is a non-profit (501c pending) that has raised thousands of dollars for local food pantries, homeless shelters, groups that support medical needs and other community challenges. In addition Perform 4 Purpose creates after school programs to give children at risk, a safe place to stay and learn the language and talent of guitar. The Van Arsdale's who started the organization, would like to get the word out and spread the love of music, guitars and charity work nationally. Perform 4 Purpose puts together several events annually that feature local artistic performances. The NPO seeks to include events for those involved in all forms of artistic expression such as music, theater, and dance. 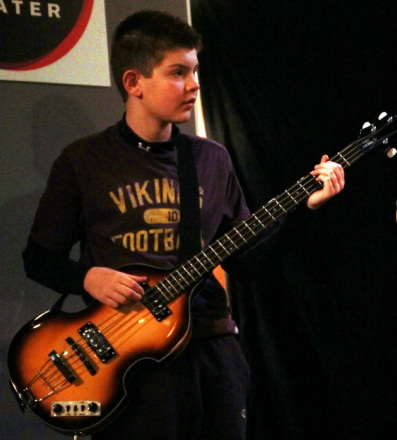 Perform 4 Purpose donates musical instruments and instruction time to enrich at risk students lives with music. The goal is to connect youth with an important expressive outlet and confidence builder that can truly make a difference for a lifetime. When you learn music, its forever! More to come…help us build it! Chris Brandolino and Amy Robbins interview the co-founders about how Perform 4 Purpose got started. Gio Pettigrass, a P4P guitarist then performs "The Gift" with Jim Van Arsdale. Kimberly Rossi is the Publicist for this organization. For any publicity related inquiries contact Kimberly, otherwise go to www.perform4purpose.org. Photo by Jack O Bocchino.